Helping more than 1 million truck drivers and fleets locate service nationwide, annually! Loaded Daily in Search Results! Why choose Find Truck Service? Truck drivers and carriers want fast and easy access to nationwide service locations when they need them. Find Truck Service is the most accessible truck breakdown search that is used by more than 1 million owner operators and fleets annually. When your businees is listed on Find Truck Service it's easily found by truck drivers and fleets who need services in your area. Find Truck Service website and apps are utilized by thousands of truck drivers and carriers daily. Our users need services, repairs and maintenance nationwide and they search across the country, in every state and thousands of cities every day. You can be assured that Find Truck Service will help your business reach new customers as well as repeat business regularly. 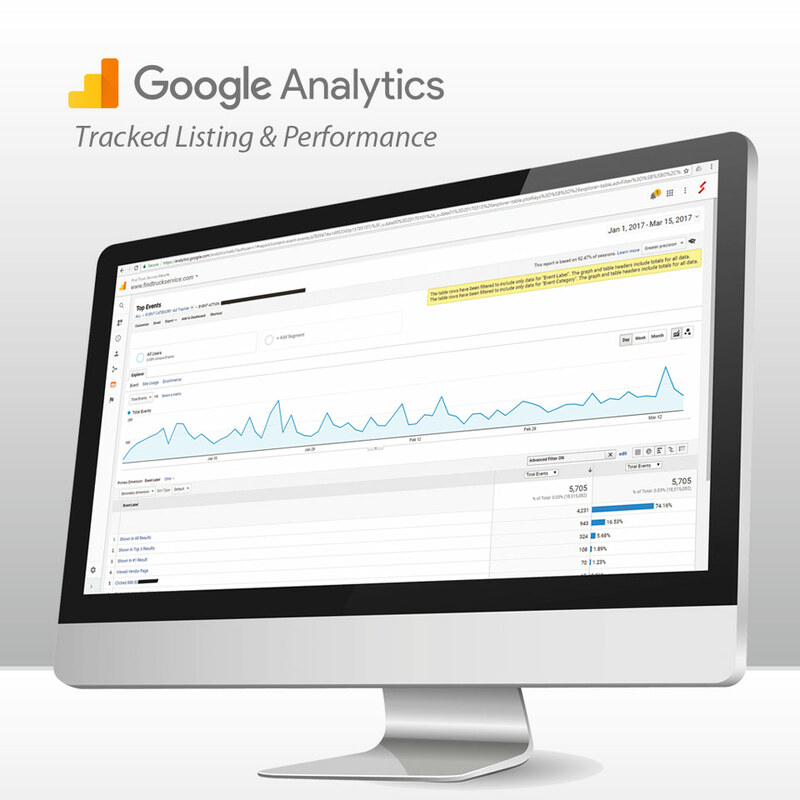 We've been tracking thousands of nationwide business listings on Find Truck Service and their performance. All advertised vendors on Find Truck Service generate business, depending on the area and services some generate more than others, but overall the estimated minimum return on investment is well over 10 times the cost. 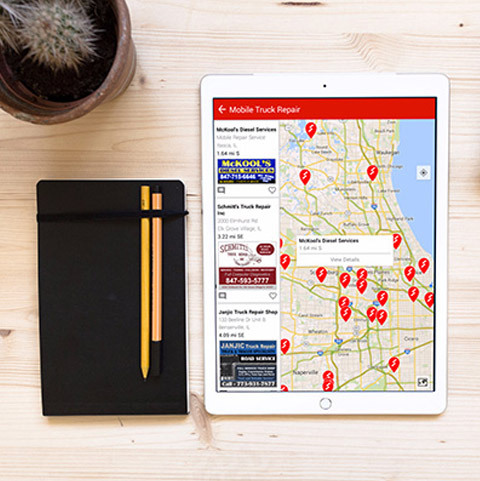 Find Truck Service tracks all user interactions with your business on our website and mobile site. We track when mobile users call you and view your business, we also track when you're the first and closest vendor shown to our desktop users. 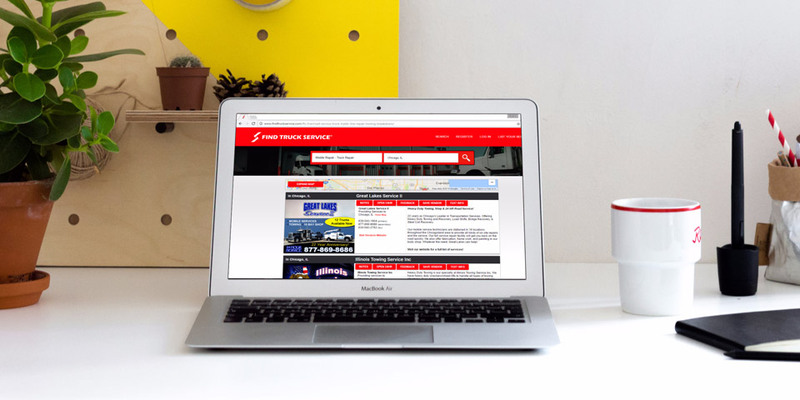 You'll know exactly how your business listing is performing with Find Truck Service. Find Truck Service is a U.S. based company operating out of the greater Chicagoland area since 2007. Thousands of businesses of all sizes use Find Truck Service as their national advertising source to reach new and repeat customers. We've helped thousands of businesses grow and expand their services. We provide the best and most cost effective online advertising for heavy duty services. 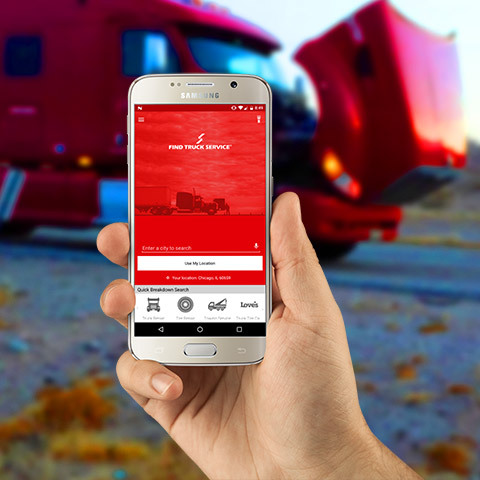 Thousands of truck drivers and fleets, including breakdown call centers use Find Truck Service and our apps are the most downloaded truck breakdown apps by truck drivers nationwide. Also, Find Truck Service Google ranking is unmatched by competitors with millions of #1 organic search results nationwide. The easy way for customers to Find your business! Choose a listing that best fits your business. Find Truck Service is a leading national directory of heavy-duty service, parts and related trucking locations to trucking industry owner-operators and fleets. Find Truck Service free online search helps users locate the nearest heavy-duty vendors to better and faster manage equipment breakdowns, repairs and maintenance nationwide. Trucking industry owner-operators and fleets manage thousands of equipment breakdowns and repairs using Find Truck Service every day, and the Find Truck Service credit card helps trucking industry owner operators finance all their repairs, services and parts nationwide. 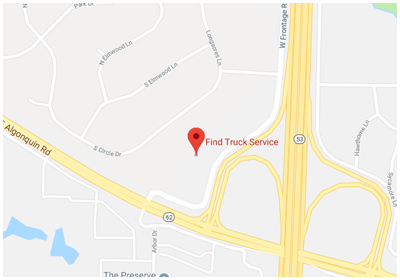 With over 1 million annual users the Find Truck Service national search loads more than 100,000 vendor business listings in the search results, daily. Find Truck Service Android and iOS are the #1 rated and most downloaded truck breakdown apps by truckers nationwide with more than 100,000 downloads and growing daily. Find Truck Service Free Tool for Truckers! Find Truck Service & Stops Free Android trucker app is compatible with most Android phones and tablets on the market. You can download our free Android Trucker App on the Google Play Store or by clicking on the image. Find Truck Service & Stops Free iOS trucker app is available on the Apple App Store and compatible with all iPhones and iPads. You can download our free iOS Trucker App on the Apple App Store or by clicking on the image. Find Truck Service® is the exclusive partner and trucking POI data provider for DAT Trucker apps. DAT users can access all Find Truck Service vendor locations from the DAT Trucker Android and iOS app. If you have more questions please feel free to call us or use the form below to let us know.